Fish are slippery and hard to hold onto, even when you have sharp talons. 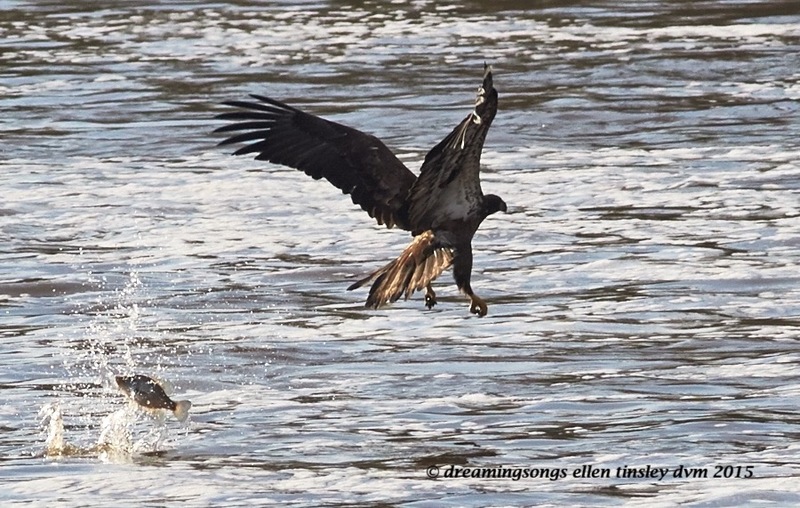 This 2 year old eagle certainly flipped this fish away and behind himself, alas. On second thought, the fish was probably happy about the outcome of his flight. Posted in birds, Eagles of Jordan Lake, fish, Jordan Lake, photography, raptors, wild birds and tagged as American bald eagle, bald eagles of Jordan Lake, fish, immature bald eagle, Jordan Lake, Jordan Lake State Park.